Putting THEIR Passion into YOUR Printing! This local business is offering these fantastic prices on Business Cards!! Make sure YOUR business cards make the RIGHT first impression! They can print from your existing artwork or update it with a new design at a VERY affordable price. They also offer a great leaflet and design service to suit your requirements. They also offer a 48 hour turnaround (at a reasonable additional cost). 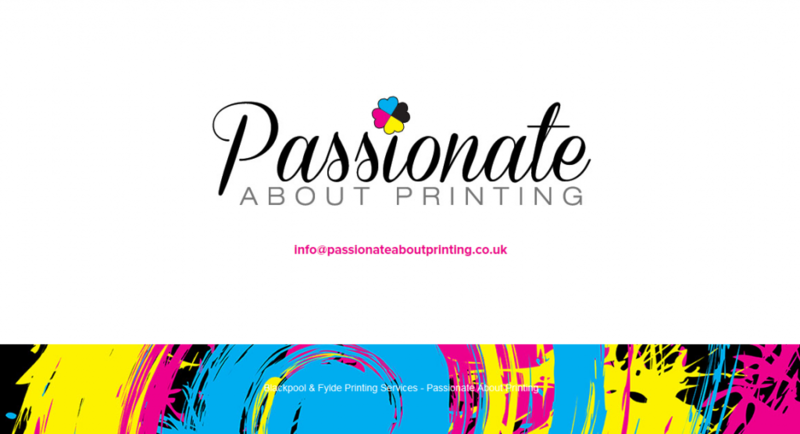 Passionate about Printing is owned by therapist Annette Brown of Lytham Therapies. She established ‘Passionate About Printing’ in February 2015, purely and simply because she’d been to various printers and used their services over the last thirteen years of being in business, and found that they were either too expensive, poor quality or their time frame was far too long, and so she decided to start her own printing business! Let them give you a quote, you have nothing to lose, but lots to save plus unbelievable quality!